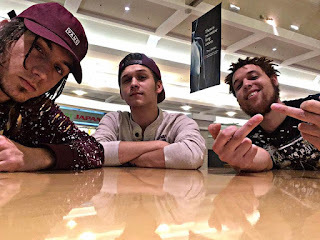 Wrap-Up Magazine: #NewVideo Noisy - "Grind Till Death"
#NewVideo Noisy - "Grind Till Death"
Lab Life member Noisy of Lima, Ohio releases new visual video titled "Grind Till Death." The video was shot by Shades Vision who is brother to Noisy. Shades Vision makes his appearance in the video for support of the artist Noisy. Watch it first here!